The new pop-music legend Amy Winehouse was born on September 14, 1983, in Southgate, north London. The future star’s parents were Jewish and had no relation to music: the mother Janis was a pharmacist, and the father Mitch worked as a taxi driver. However, the melomaniac father had an excellent collection of jazz albums and often sang his daughter to sleep with Frank Sinatra’s songs. When the girl turned nine, her parents divorced. The grandmother suggested Amy should be sent to the prestigious Susi Earnshaw Theatre School where her talent would blossom. Cynthia was right. 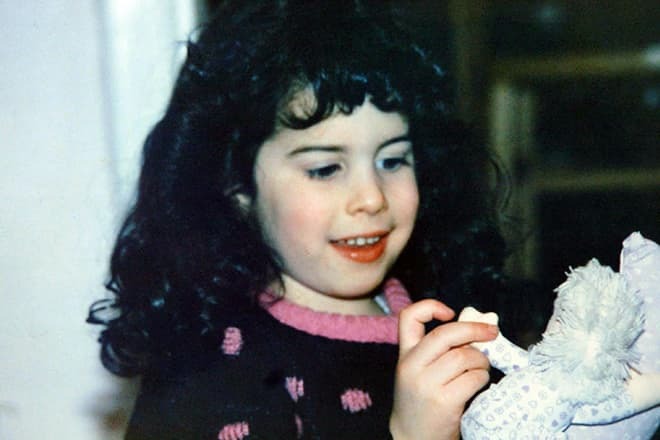 At school, Winehouse was known as a difficult child: she was always singing, and teachers could not make the girl silent. At ten, Amy discovered the music of protests: hip-hop and R&B. Salt'n'Pepa became her favorite group and the example to follow. The next year, Amy and her classmate Juliette Ashby were making music in their hip-hop project Sweet 'n' Sour; Amy herself called her group “the Jewish version” of Salt'n'Pepa. When Amy was 12, she transferred to the Sylvia Young Theatre School; however, she was expelled in a year: her behavior was far from being perfect. At 13, Winehouse received a special present: the guitar. From that time, the girl was taking it everywhere; she started writing her own songs and played every day. At that period, the classic soul singers Sarah Vaughan and Dinah Washington became her icons. As Amy had gained some vocal experience, she gave performances with local groups and recorded her first demo-versions. 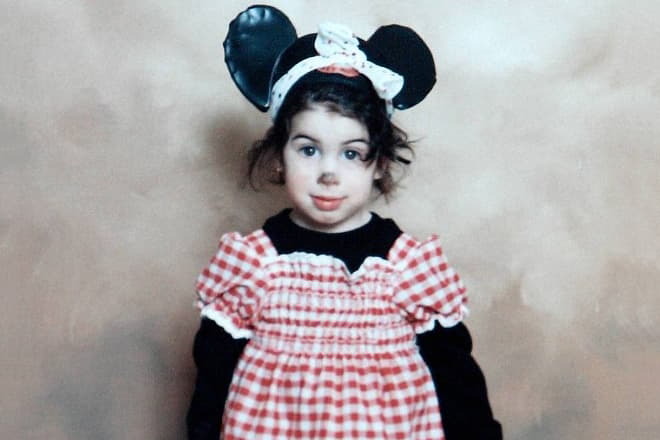 In 2000, 16-year-old Amy Winehouse stepped into the world of show business. She was never eager to do that, though: it was accidental. Tyler James, the young woman’s ex-boyfriend, sent her demo-version songs to the manager of Island/Universal; the producer’s center was looking for beginning jazz vocalists at that time. Thus, Winehouse signed the contract and started her career. In 2003, the album Frank named after Sinatra came out. Ordinary people, critics, and professional musicians were fascinated with the elegant melodicity, provocative lyrics, and Amy’s unique voice. In a year, the album became platinum, and those who had been shocked with the young talent’s scandalous behavior at first fell in love with her. Amy was nominated for the Brit Awards and Mercury Music Prize. The first single “Stronger Than Me” created with Salaam Remi brought Winehouse the Ivor Novello Award for Best Contemporary Song. At the same time, the singer’s name often appeared in tabloids. Drugs, alcohol, cruel jokes, forceful comments, humiliating the press and listeners, inappropriate behavior – Amy provided the media with everything. In 2006, the second album Back to Black was released. Winehouse was inspired by the 1950-60s women’s pop and jazz groups. The album quickly reached Billboard’s seventh position and became platinum five times. In spring 2007, the first single of the album, “Rehab,” got the Ivor Novello Award. Later, the music videos for this hit and other songs came out. In 2008, Amy Winehouse won five Grammy Awards (Record of the Year, Best New Artist, Song of the Year, Best Pop Vocal Album, and Best Female Pop Vocal Performance). The singer did not have the American visa and delivered the acceptance speech via Skype. The same year, Amy Winehouse should have worked on the soundtrack for the movie about James Bond Quantum of Solace. However, the singer was said to have different plans; another British star Adele took the project and won the Academy Award. 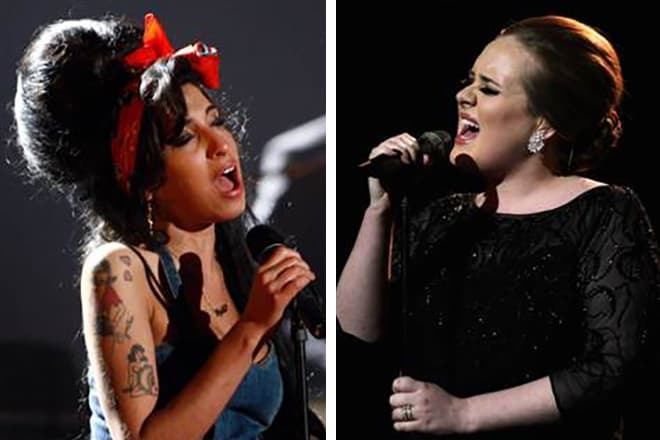 In one of her interviews, Adele mentioned that Winehouse’s music inspired her to start her own music career; she specified that it was Amy’s debuting album that made an impact on her. In summer 2007, Amy rejected the concert proposals in the US and Britain and announced she had health issues. The press discovered the singer was taking hard drugs; Amy spent five days in a rehab clinic. In June 2008, Winehouse gave the only concert in Russia when the Garage Museum of Contemporary Art was open. In a while, the woman was hospitalized with emphysema. The same year, Amy was arrested several times (for assault and suspected possession of drugs). Again, she went into rehab to Bryan Adams’s Caribbean villa. Island/Universal promised to terminate the contract if the singer did not give up her bad habits. 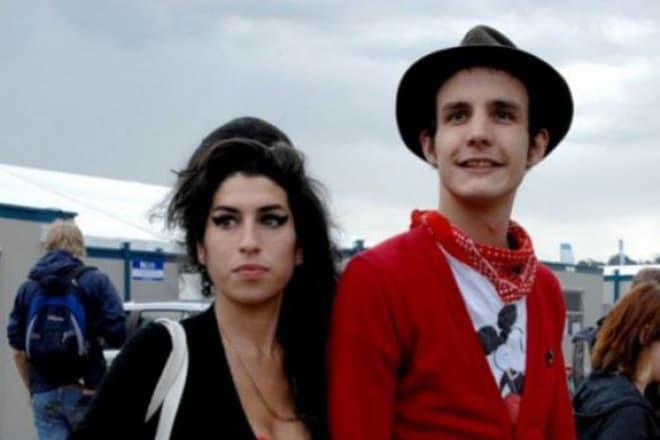 In June 2011, the scandalous concert in Belgrade took place: Winehouse appeared on the stage in front of 20 thousand people in the apparently strong alcoholic state and could not sing: she kept forgetting the lyrics. Under these circumstances, the star canceled the European tour; it was announced the singer could not perform at the appropriate level. In 2005, Amy met Blake Fielder-Civil in a pub; two years later, the couple married. This relationship was complicated: Amy and Blake abused alcohol and drugs together, often fought, and caught the paparazzi’s attention. Amy’s family believed that it was Blake who had a bad influence on the woman and did not give her the chance to drop substances. In 2008, Winehouse’s husband was sentenced to 27 months of prison for assault. The man began divorce proceedings; in 2009, Amy and Blake divorced. The singer’s life was short, but she remains memorable to both fans and the men who had affairs with her. 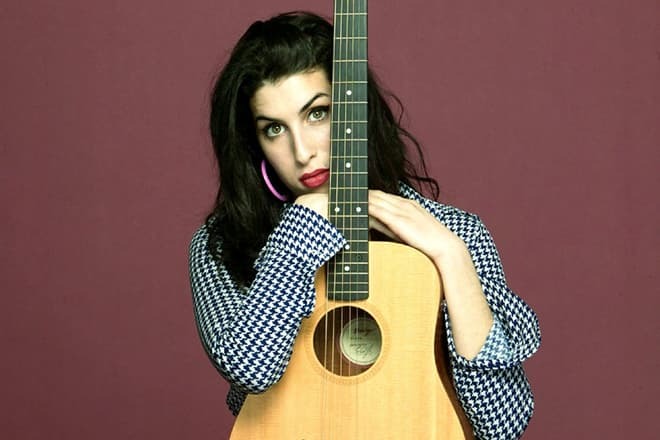 In most cases, Amy had relationships with musicians. The music manager George Roberts was Amy’s first boyfriend known to the public. The young woman was also dating the musician Alex Clare. The man described his relationship excitedly; he was sure Winehouse would not come back to her husband. But Amy did. To revenge, Clare revealed many details of Amy’s personal life. Winehouse also used to date Pete Doherty, Kate Moss’s ex-lover. Pete did not mind playing with drugs, just like Amy. The things could change when the singer met the British director Reg Traviss. However, it did not work out; besides, Reg’s ex-girlfriend was putting spokes in the couple’s relationship. After Winehouse’s death, it turned out the singer was preparing the documents to adopt ten-year-old Dannika Augustine, the girl from a poor Caribbean family; the singer met her in 2009 in Saint Lucia. Unfortunately, this dream never came true. On July 23, 2011, the world of music was knocked down by the news: Amy Winehouse was found dead in her London apartment. According to the autopsy results, her blood alcohol level exceeded the survivable limits five times; the death was called accidental. Experts could not prove whether this interpretation was correct. The singer’s father was sure the death was caused by a heart attack after alcohol poisoning. Upon the preliminary speculation, Amy Winehouse overdosed; however, the police failed to find any drugs in the house. In 2013, the reinvestigation brought no new information. Amy Winehouse’s death reminded that of the great guitar player Jimi Hendrix who was also found dead in a London apartment: he overdosed on sleeping pills and choked by his vomit. Nevertheless, there were different rumors: for instance, some people believed the musician had been poisoned. Just like in Winehouse’s case, there was no clear explanation. 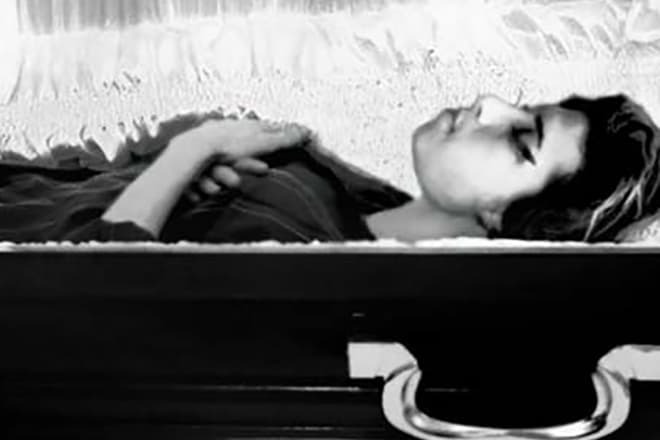 On July 26, 2011, Amy Winehouse’s body was cremated. The funeral took place at the Edgwarebury Jewish Cemetery; Amy’s grave is next to her grandmother’s. In December 2011, Winehouse’s postmortem album Lioness: Hidden Treasures came out; the recordings made in 2002-2011 were included. The album topped UK Albums Chart in the first week after the release; the father sent the income to the Amy Winehouse Foundation aimed at helping the victims of alcohol and drug abuse. In 2014, the monument to the singer was opened in the London Borough of Camden. In 2015, Asif Kapadia’s documentary movie Amy was released. The project received many positive reviews; however, Amy’s father criticized the movie and announced he was going to start his own project which would become more than just a movie.